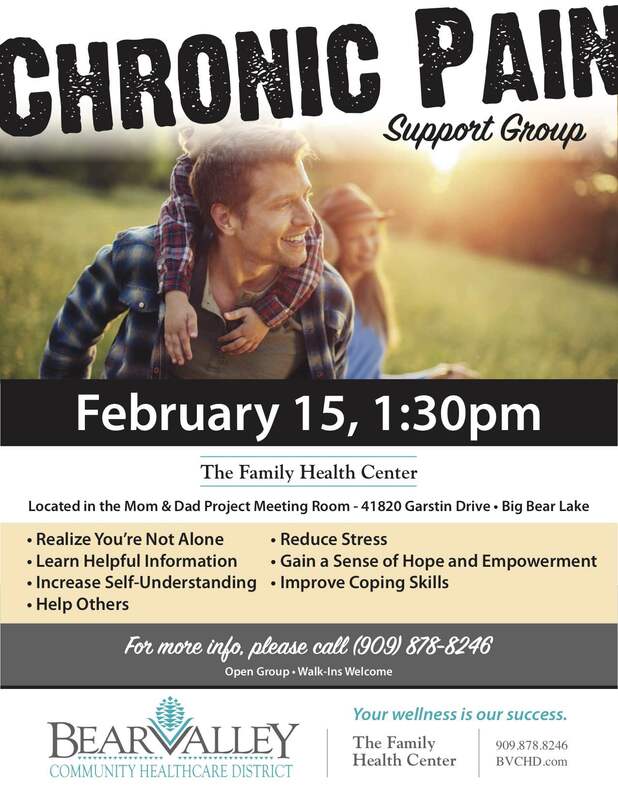 On February 15th, 2019 Bear Valley Community Health Care District’s Family Health Center will resume its Pain Management Support Group. This group is designed to give patients access to support and alternative methods of pain management care. The group will focus on the whole person, and look at healing through different methods such as self-care and self -realization. The group is designed to empower and support those who are overwhelmed by chronic pain. 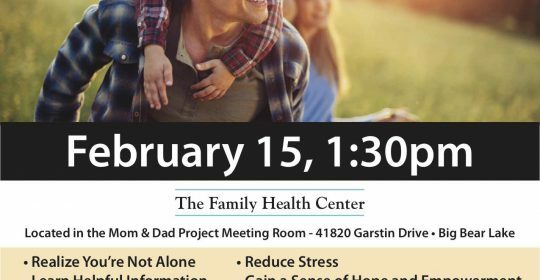 Classes will be located at The Mom & Dad project at 1:30pm. If you or someone you know could use some support while dealing with chronic pain, this is the group for you!